It is the second purchase. It was cut out from 200 mm × 200 mm of 3 mm, 4 mm thickness and made it. It was thousands of kilometers, but it did not seem to be particularly strange and it was as expected. However, it will be delivered in a slightly rounded condition as it is in the reviews of other people. Although there is not much problem in my use. This review is about item#7282834. I bought a large format, so it was good as I could cut out the number of hope. This review is about item#7283202. There is little waste as it can be ordered for the substitute for consumables. This review is about item#7282807. Although it was also a comment from the other person, I was dissatisfied because I had packed in a state bent a little at the time of shipment, so I could not take a crooked habit. I am sorry that I was satisfied with all packed straight in the last time. Improve packing condition thank you. This review is about item#7282703. I did not get it because it was a special part, but I was able to buy a minimum size and made it cheaply. Durability can also be expected and performance seems better than genuine parts. This review is about item#7283306. This review is about item#7282642. 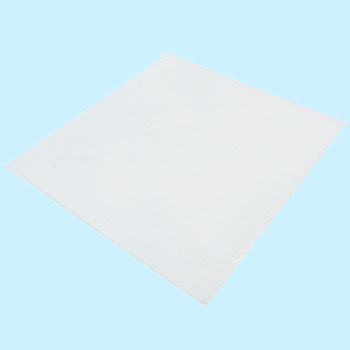 It was a light yellow plate-shaped urethane sheet, and it was easy to process and we got goods that were satisfactory. I do not know without using durability, but since I bought a bigger one with a margin, I think I will make a spare. This review is about item#07282886. I purchase regularly, but recently? I feel pretty smell is tight. There are two ways, both when the both ends are cut and when it is cut. There are variations when the color is close to transparent and when it is yellow. But as we are planning to purchase, we will keep it five stars as we are in trouble. I bought it in repeat, but this time rounded round and rounded habit which arrived badly, it did not become flat even if weight was put on for about 1 week There are users before delivery Do not you remember that? This review is about item#7283157. The product is very satisfied. Because it reaches in a rolled state at the time of delivery, it is hard to take habits. With overhaul of impact tool over 30 years ago, it seems that aged deterioration is progressing with lubricating oil etc. by chemical attack of resin ring. Because it was old, I was in trouble because it was impossible to procure parts, but I made my own work with this product. It became fully functional as a substitute part. However, as the urethane board was warped when the order was delivered, it had been habit, so it was difficult to cut out the ring shape, so three stars. This review is about item#07282685. This review is about item#07282633. Both quality and price are perfect. Also repeat when necessary. This review is about item#07282712. This review is about item#07282651. I am surprised at the durability beyond expectation. This review is about item#07282861. Because it was a urethane sheet, I thought that it was a foamed urethane insulating sheet and bought it. This review is about item#07282782. Coking rope of urethane rubber for finish of stone and stone joints at right angles. In some cases, without masking, if it is a stone of a polished surface, urethane rubber spatula can be pressed strongly, so that one finishing can be finished. The shape is arbitrary, but ¥ 3500 / / tax not included in the dedicated tool store market. It is too expensive to buy. I cut it myself and make it. Since I have the ability to make it myself in one to two hours, if it is the size of this material, you can do more than 30, in any case it will be saved more than \ 100000 -. Moreover, because it is urethane rubber, it can cope with about 10 years without difficulty if preservation is good. However, it seems there is a problem of design registration, so I would like to avoid secondary sales. This review is about item#07283053.